I came across this very handy video the other day. It follows a similar method to the one I used to make the base of my OVesa riptide last month. I enjoyed this just like EonsOfBattle other tutorial videos and found it quite informative. I recommend you try visiting their channel for more useful guides. Airbrush and Analog Painting have recently been publishing a series of tutorials which I would highly recommend you read. This week’s tutorial is Building and painting a display base step-by-step, that as the name suggests, shows you simply how to build a very cool looking, and surprisingly easy to construct, display base. Hi again everybody and welcome at yet another step-by-step article. This means that this won’t be a tutorial per say but you can follow the steps or just observe my experience making this display base / plinth. 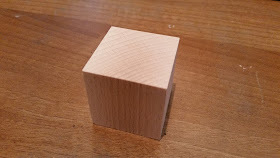 I began by ordering some Sockelmacher plinths from sceneryworkshop.nl. I heard about the great quality of their product and honestly it would be easy to make these yourself but I’m lazy like that. A&A Painting – Building and painting a display base step-by-step. Airbrush and Analog Painting Twitter Profile. Airbrush and Analog Painting Facebook page. Since the completion of my Tau Devilfish, I have been asked a few times, how I did it. So for your those that are interested, check out my Tutorial below. Simple tutorial on blue digital camouflage.